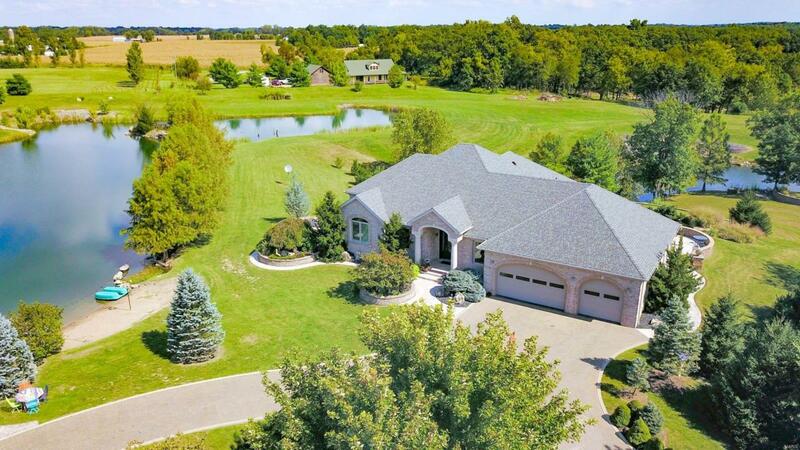 No detail overlooked in this contemporary custom built estate overlooking two lakes! 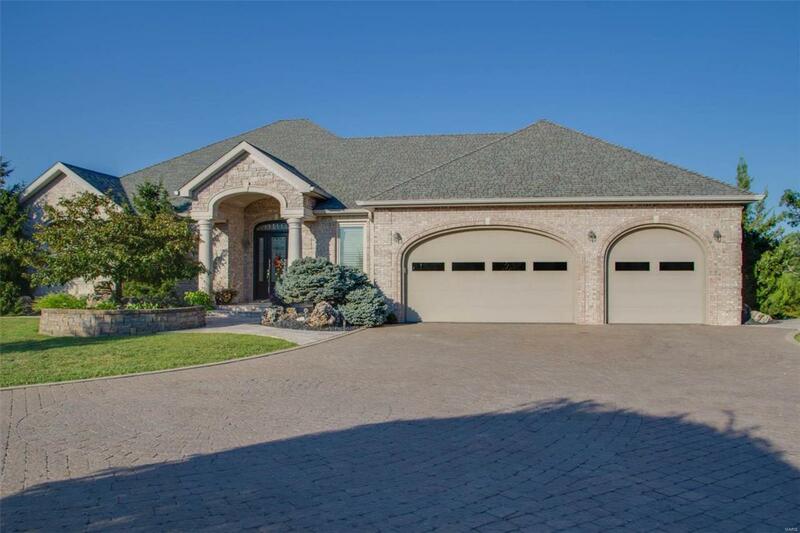 This all brick home features extensive landscaping that has turned the outside into a real retreat. 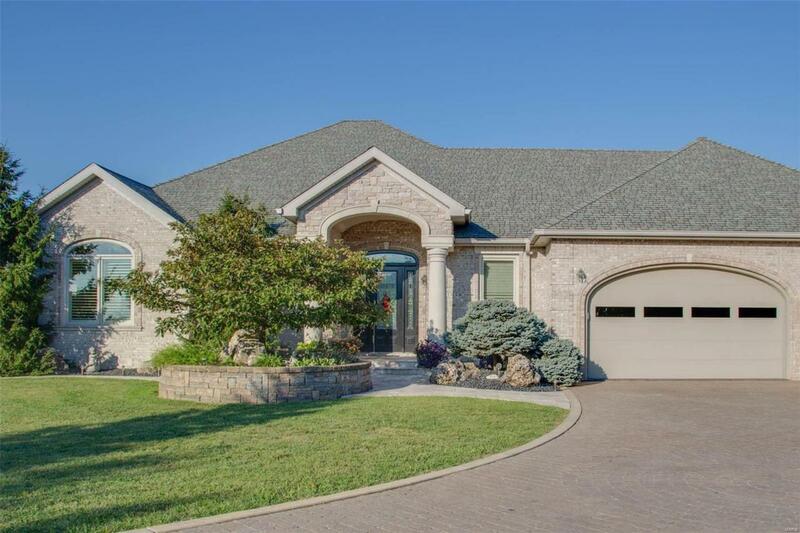 Between the paver/concrete stamped driveway/patios and the elaborate stone retaining walls, you will be sure to appreciate the established grounds. The lake offers a beach area complete with a dock for the fisherman who can enjoy catching bass, bluegill and catfish. Large picture windows allow for natural sunlight to flood the home! Upon entering, you are welcomed with a two-sided gas fireplace that serves as a focal point in the living room. 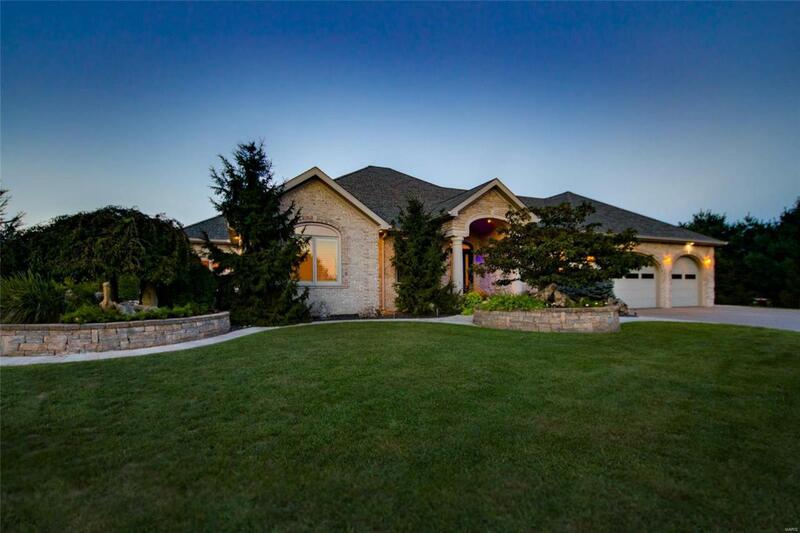 The open concept takes you into the large kitchen/dining area, all with gorgeous views of the property.Kitchen features top of the line appliances, granite counter tops, and a walk in pantry. State of the art designed stairwell leads you to the walk out lower level where you are greeted with an entertaining area, bar/kitchen, family room and so much more!